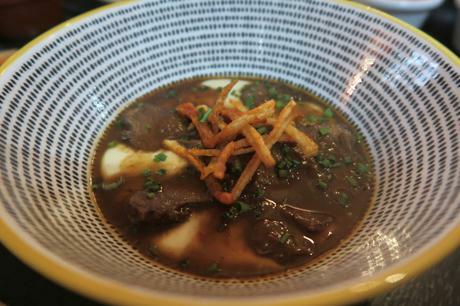 A few months ago, Migas Tapas and Wine Bar opened near to Ask in Sutton Coldfield, the place had laid derelict for some time, since the closure of Don Diego. Emma, the owner of Migas was super happy to re open in Sutton Coldfield on the same site that she used to co-own and I'm pretty sure that the residents of Sutton were even happier to have her back, we certainly are! The decor is friendly and inviting, with lots of warm colours and homely touches with more than a hint of Spanish. 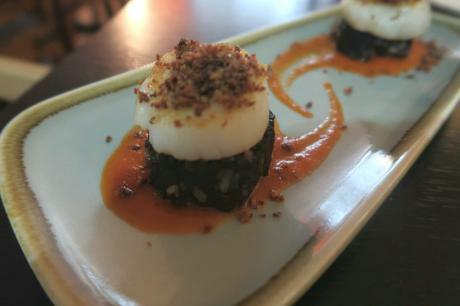 The menu is full of enticing sounding tapas, paella, and if you're really organised there are some mouth-watering options to preorder too, like a roast suckling pig or whole Cheese Wheel! 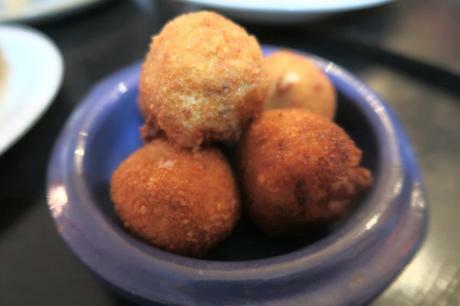 Croquetas de Jamón - these are a staple on our order list, and we were keen for Imogen to try them! 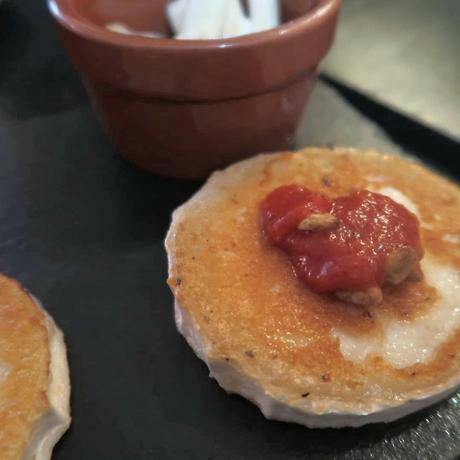 All the dishes we tried were packed full of flavour, but my favourite from this visit was definitely the Goats Cheese with the sweet tangy pepper marmalade and the courgettes fritter which were so light and tasty. Imogen stuffed her face with the patatas bravas, spanish omlette and the croquetas! 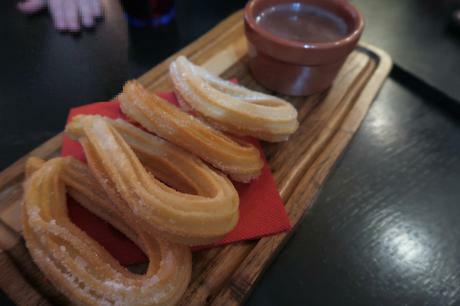 No Spanish meal for me is compete without churros, and these did not let us down! 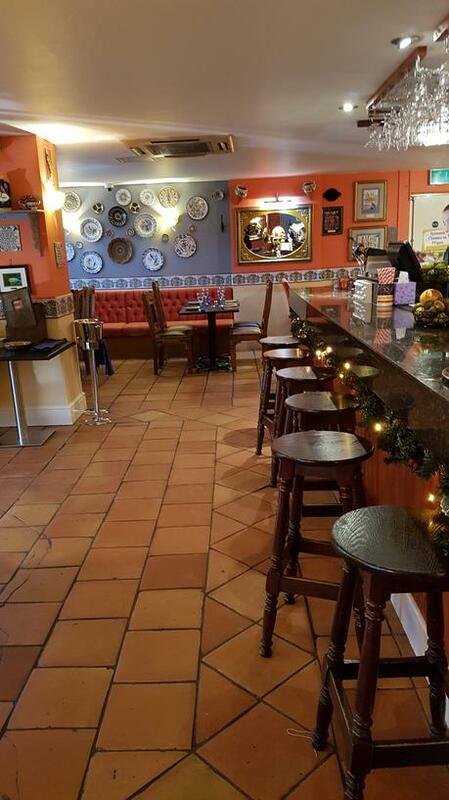 Migas is a fantastic addition to the Sutton Coldfield restaurant scene, perfect for any occasion and serving fresh tasty home-made food, so check it out!